John was born and raised in South Philadelphia, attended South East Catholic High School and was a graduate of the University of Pennsylvania. John served in WWII and was proud to be a Veteran of the 324th Infantry. He was a longtime employee of GE and also worked for the IRS as an employee and volunteer. 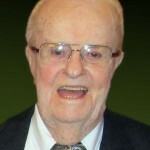 John was a consummate volunteer and a proud member of many organizations, including the Knights of Columbus, The Men of Malvern, St. Gabriel’s Parish, Catholic War Veterans, the American Legion, USO, Norwood Boy’s Club , Philadelphia Mummers Comic Division and his position as family historian. His most impressive accomplishment was his devotion to family. PopPop Jack will be remembered fondly for his Sunday Morning Family Breakfasts, his talent for storytelling and his kazoo. Roger graduated from Palmyra High School in 1940 and served in the U.S. Army Air Corps during WWII, flying B24s on 41 missions in the South Pacific. He retired from accounting at the Hershey Chocolate Corporation in 1985 after 40 years of service. He was a man of routine and enjoyed steak, shrimp, french fries, exercising, and swimming laps at the fitness center. His love of flight continued later in life as he enjoyed flying his Beechcraft Musketeer. Although he and Maudie never had any children, they had many wonderful nieces and nephews who were dear to their hearts and who they called “their kids”. Sam grew up on the Philadelphia Main Line with four sisters, whom he loved dearly, and graduated from Tredyffrin-Easttown High School in 1943. Shortly after, he was inducted into the U.S. Army and, during World War II, was stationed at various times in France, Germany, and the former Czechoslovakia — specifically the Sudetenland. He was a staff sergeant who drove Sherman tanks and half-tracks and was attached first to the 16th Tank Battalion of the 16th Armored Division and, later, the 35th Tank Battalion of the 4th Armored Division under Gen. George S. Patton. 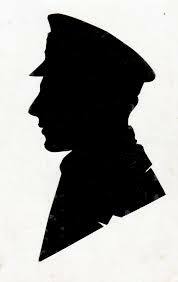 After the war ended in Europe, he was part of the Allied occupation forces in Germany. Sam received several decorations and citations for his service: the American Campaign Medal; European-African-Middle Eastern Campaign Medal; Good Conduct Medal; and World War II Victory Medal. His name is listed on the Registry of the National World War II Memorial in Washington, D.C. 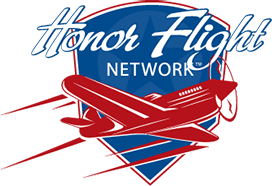 In 2014, Sam proudly joined fellow veterans as an Honor Flight Philadelphia honoree. Affectionately known as “Uncle Sam,” he had a fascination with cars that he translated into a career as a Chevrolet salesman and, then, as the manager of a Chevrolet dealership. Sam was an enthusiastic fan of Philadelphia sports teams, particularly the Phillies and the Eagles. He was also an avid gardener who’ll be remembered for growing, canning, and sharing his prized tomatoes and lima beans. A devout Roman Catholic, Sam was a lifelong member of Our Lady of the Assumption Roman Catholic Church in Strafford, Pennsylvania, where he was confirmed, where he served as an usher for many years, and where his funeral services were held. The husband of Patricia Marcantonio, he was predeceased by his first wife, the mother of his daughters, Jean Marcantonio. Survivors include daughter Sherry Marcantonio and spouse Lorie Dakessian; daughter Stacey Chase and husband Wayne Smith; grandchildren Andrew Marcantonio-Fields and Amelia Marcantonio-Fields; sister Antoinette Rossi; and many nieces and nephews.